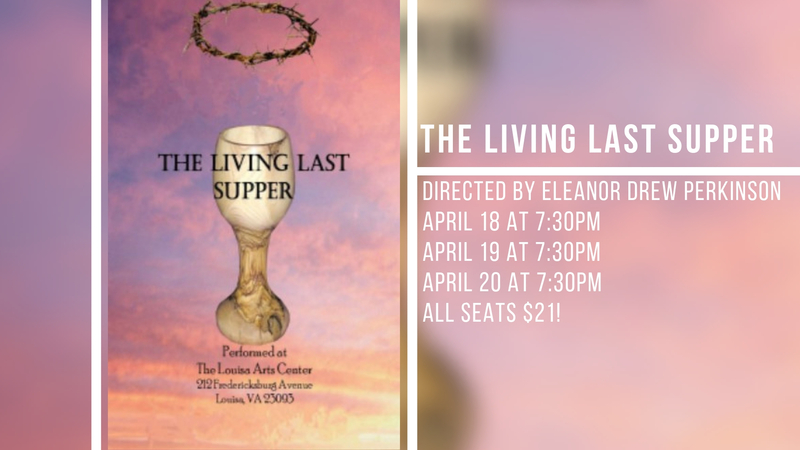 “The Living Last Supper” brings to life an intimate portrayal of Jesus and his disciples the night before he was crucified. With a stunning representation of the books of the bible and Leonardo da Vinci’s masterpiece, The Living Last Supper, this play takes a closer look at the emotions and passion of the men that followed Jesus and the realization of one’s betrayal. Performances are April 18 – 20, 2019. These performances of The Living Last Supper have been made possible by the generous support of the William A. Cooke Foundation.